A Pompano Beach Slip and Fall injury attorney is a professional legal attorney who represents clients that have been injured in a slip and fall accident. A slip and fall accident can happen while on someone else's property. Before opening your slip and fall case, Robert E. Gluck must first prove negligence existed at the time of your slip and fall accident. 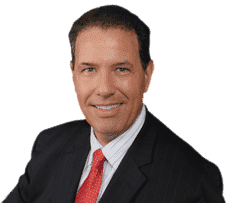 If he can prove it, Robert E. Gluck will launch a full investigation of your case to provide all the evidence needed to get you the settlement you deserve. Trust Robert E. Gluck to work hard for you, and fight for your legal rights. Once your Pompano Beach Slip and Fall Attorney can prove negligence he will gather all the evidence he can to build your case. Negligence happens when a person fails to provide reasonable care for another individual, and it results in the neglected person getting hurt. If negligence can be verified, the responsible party will be held accountable for your medical bills. It is very important to hire the right slip and fall attorney, in order to increase your chances of winning the case. Contact Robert E. Gluck today for a free consultation. An aggressive, determined, Pompano Beach Slip and Fall Attorney should be contacted immediately following a slip and fall accident. Studies indicate a higher settlement is usually reached when a slip and fall victim has legal representation. You should hire an injury attorney as soon as possible, in order to get your case started immediately. Robert E. Gluck will protect your legal rights, fight hard for you, and serve as a powerful voice on your behalf. He will give you all the guidance and emotional support you need to get through this challenging period of your life. Your Pompano Beach Slip and Fall Attorney, Robert E. Gluck, will begin a full investigation of the case immediately after negligence has been verified. He will speak to witnesses and obtain their statements, locate video footage, take pictures of the accident scene, examine the accident scene for damage, and anything else he can to gather all of the evidence he needs to build a powerful case for you. Contact Robert E. Gluck today to speak to him about your slip and fall accident. It is important to get the legal representation you are entitled to in order to win the case. Robert E. Gluck will work hard to protect your rights and help you receive the financial compensation you deserve for your medical bills.